Announcement Hey everyone! Simply McGhie Soaps will be back soon with updated inventories and exciting new soaps! Hey everyone! Simply McGhie Soaps will be back soon with updated inventories and exciting new soaps! I love the scent of this soap, but the best part is the lather, more bubbles than you can imagine. 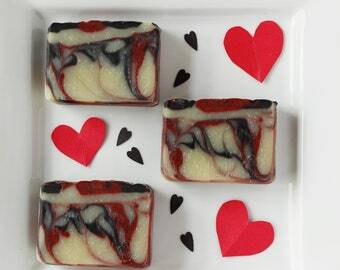 A thick and creamy and bubbly moisture rich soap......love it! I always know how well the product is made. Love the flavors. After developing severe skin sensitivity, I looked for ways to reduce the amount of chemicals in my life. Homemade soap was a natural offshoot of that. I've been making homemade and custom soaps with the highest quality ingredients since the spring of 2010 and sharing them with the world ever since.